Stay safe and sound when Granco Security Company is watching out for you. We are a full-service, licensed, bonded, and insured company providing top-notch protective, patrol, and security guard services out of our headquarters in Detroit, Michigan. You can rely on our team of experienced personnel to protect you and your property. From offices to churches, airports to construction sites, our professional security guards are able to provide security services and executive protection for a wide variety of clients and locations. We offer armed and unarmed security guards, protective services, and patrol services. Our patrol services include: foot patrols, vehicle patrols, and even manned & unmanned air patrols by our team of FAA-Certified Airmen. Looking for a new career? 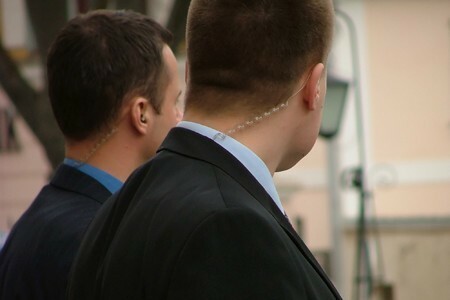 Consider joining the team of dedicated security guards at Granco Security Company. We maintain a positive company culture and provide certified training to give you the tools you need to do your job of providing the highest level of security and service to all of our clients. Experience the Granco Security difference when you hire us for armed and unarmed security guard services in the Detroit, Michigan, area. With years of experience in all types of security and partnering with the Detroit Police Department, Wayne County Sheriff's Office and the Michigan State Police, we are able to protect what matters to you most through positive synergistic relationships in a variety of ways. Our friendly guards are equipped with the best training and the newest equipment. Officer training is one of the most important factors in security work. Our training department is made up of current law enforcement officers that teach at several local police academies. Be sure to ask us about our specialty training and certifications that our staff have received. A quality security guard training program is time consuming, difficult and expensive. This why few security guard companies do it right. This is just one attribute that sets us apart from other security guard companies. Plus, every Full-Service client and Church Security clients, is eligible to receive our complimentary exclusive worry-free guarantee and a complete Security Consultation and Risk Assessment. This important tool will add value to your organization by identifying safety hazards and potential threats concerning everything from violent situations such as an active shooter scenario or workplace violence by a disgruntled employee, to loss prevention & asset protection like vulnerable targets such as unlighted areas, worn or faulty doors, locks, gates, and fences presenting increased opportunities for theft, vandalism and other property crimes. Then, we will work with you to develop an action plan to help you reduce the risk of those threats. Our customers' referrals serve as true accolades, helping us build our business, accentuated by our industry-leading client retention rate of over 90%. Contact us if you have any questions about our services. The mission of Granco Security Services is to build customer loyalty by consistently providing every client with high quality security, protection, and good customer service rendered by highly dedicated and professionally trained officers. This is the first step in the procurement of security services. Please use this Request For Proposal form if you would like us to submit a bid for your security contract job. One of our sales associates will contact you promptly. To better serve you, please fill out the entire form accurately. Thank you in advance for choosing Granco Security. We certainly appreciate your business and look forward to serving you. If you have any questions for us, great! We love hearing from future customers. If your request is urgent, please call us at (734) 780-1880.